There are two kinds of keyboardists in the world (pardon us for the generalization for a moment) – programmers and players, and every keyboardist has a bit of both in them. Some prefer to roll up to a keyboard and play their heart out on whatever sound comes their way, while some like to spend hours crafting sounds, letting a sequencer do the playing for them while they tweak. The Clavia Nord Modular G2 suits both kinds of players with great success: deep synthesis with a massively inspirational interface. Clavia has done a tremendous job in creating a truly playable instrument – fantastic action, great immediate control over expression with the pitchstick and aftertouch, morph settings to add modulation to any parameter with any expression input available, and an easy-to-navigate interface that simplifies the beast that lies beneath. Under the hood, the G2’s programmability is unmatched in the hardware synth world – creating and editing patches can get downright mathematical. Drawing on both traditional modular synthesis methods as well as more recent explorations in software-only modular programming environments, the G2 offers the programmer a virtually unlimited number of options for sound shaping. 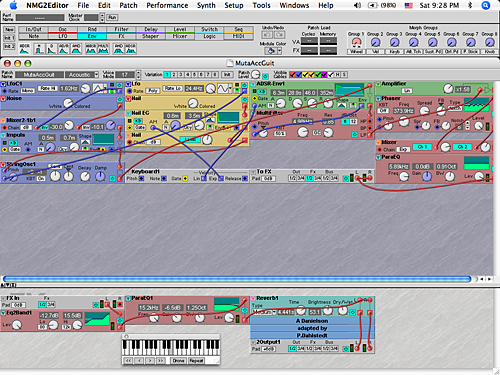 Physical modeling, FM synthesis, traditional subtractive, additive synthesis, they’re all there to be tapped into. We found the G2 to be an amazing package. The level and depth of the editing environment is a bit overwhelming at first – we felt a bit lost with the options at hand and the sheer volume of routing potentials. This really isn’t a problem in the grand scheme of things, though, since options are always a good thing when it comes to sound creation. We explored the recently added Patch Adjuster tool, which allows you to make global changes to a patch from a single window quickly, and the Patch Mutator, which is a monstrous tool that allows you to select a patch and create genetic mutations from it to find new settings and sounds on the fly with great flexibility. Sound wise the G2 shines as a chameleon, sharing a smooth digital sound with its siblings in the Lead family. Never truly trying to sound analog, it gets close enough to our ears. While you can dial in some great, smooth, buttery, Moogy basses and creamy Prophet style pads, it has a sharp, clear flavor all it’s own. Due to the extreme variety of sonic possibilities, it’s tough for us to nail the G2 down to an overall “sound” – and we were by no means unimpressed with the palette! Overall, the Nord Modular G2 is a tremendously powerful programming environment, and a truly magnificent performance synthesizer. The Nord Modular G2 keyboard is a three-octave, velocity sensitive board with aftertouch. The construction of the G2 is rock solid, using sheet metal for the case instead of the more ubiquitous plastic. But the sturdy construction is misleading in one regard – you won’t break your back lugging it back and forth to gigs as it weighs a quite reasonable eleven pounds (note – please don’t disrespect the G2 by installing some bolts and strapping it on as a keytar). Four individual unbalanced line level outputs, with the signal mixing down to Output 1 if that is the only connection made. Four individual unbalanced line level inputs, as well as an XLR mic connector with a built-in preamp for connecting dynamic microphones (it doesn’t supply phantom power). As for patch memory and organization – there are Patches and Performances. 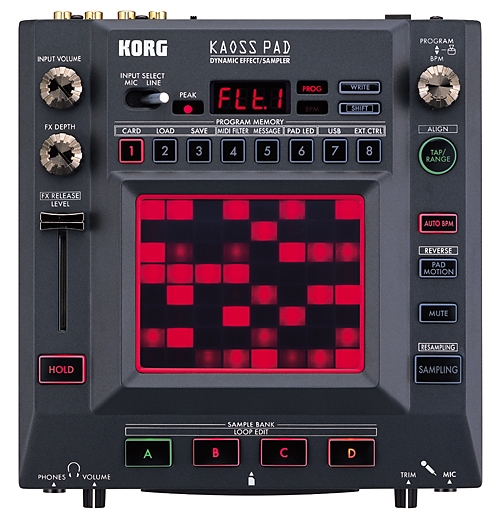 Patches are individual module arrangements loaded into one of the four available Slots, which can be individually activated for DSP conservation or can be used in combination for up to four-part multi-timbrality. It’s easiest to think of a Patch as its own synthesizer. Each patch features eight Variations, which are parameter variations on the same set of modules. Performances are combinations of multiple patches loaded simultaneously, with specific settings recalled for keyboard splits. Performances also keep a copy of any patches used, so edits made to them in the Performance don’t affect the individual Patch memory. Attention to details like this one are just one of the ways that Nord really engineers great products. The G2 features separate memory for Patches and Performances, and the number of available memory slots is dependent on the size and complexity of the patches. Out of the factory, it comes with four banks containing a total of 373 Patches, and one bank of twenty-eight Performances. A constant concern with the G2 is the amount of DSP available for voices – complex patches require more horsepower, which limits the number of voices and number of simultaneous slots you can use. Each patch also varies in the number of available voices – depending on the complexity of the patch you can have up to thirty-two voices of polyphony. The G2 basic operations are edited via the onboard controls, which include a global arpeggiator (Up, Down, Up/Down and Random), a master clock syncable to external sources via MIDI, as well as controls for global vibrato, glide, bend, and patch level. To create patches you work within Clavia’s software editor on a connected Mac or PC. The software requires an up-to-date OS on the host computer (Mac OSX 10.2 or later, Windows 98SE/2000/XP) and an available USB port to connect the G2. The Nord Modular editor is a single-screen application which uses graphical representations of various building blocks to guide the construction of patches. There are different sections: Menu bar, Toolbar, Voice Area, and Effects Area. The Toolbar is the hub of the editor, giving you access to master clock settings, patch and performance naming, DSP usage for the currently loaded patch, as well as being home to the Module Group selection menu. This is where you select modules to drag into the Voice and Effect areas. The Voice is the primary construction zone, allowing you to create mono or polyphonic patches. 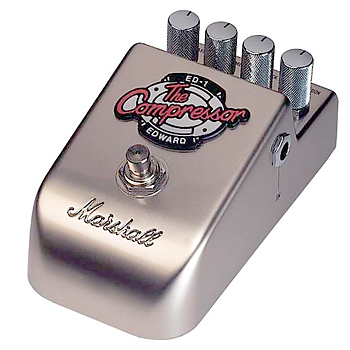 The Effect area is for monophonic modules or for global effects units. Maybe it’s about time we talk about some of the available modules? There are over 160 modules organized in sixteen categories: In/Out, Note, Osc, LFO, Random, Envelope, Shaper, Filter, Mixer, Switch, Level, Logic, Sequencer, FX, Delay, and MIDI. There are an infinite number of combinations of modules; your only limitation is the available DSP. The modules intelligently minimize their DSP hit by reducing their load depending on the number of connections used and the signal type running through them. The G2 module selection includes seventeen oscillator types – there are four core analog-style oscillators, varying in the amount of inputs for modulation and number of available waveforms to conserve DSP usage. There are also two shape oscillators, which allow you to alter waveforms to create various harmonic variations. The Operator FM oscillator is actually a single voice recreation of the DX7, with a router module to accompany multiple operators to create a multi-operator FM synth, and the controls are feature-by-feature compatible with the DX7, so you can recreate original DX7 patches inside the G2! The String oscillator is a traditional delay-line based oscillator fed with a noise source to create plucked, struck, and bowed string sounds. There are fourteen types of filters available – everything from traditional lowpass/hipass/bandpass through to comb filtering, phase filtering, wah-wah and vocoder effects. There are also a slew of other modules available for sequencing, effects, and MIDI processing. For sequencing, there are five different modules, which can be used to send step-sequenced values to any module for every parameter imaginable (including pitch). All told, the module assortment presented in the G2 version shipping today is quite robust! As a standalone synthesizer, the Nord Modular G2 is a lean, expressive instrument which screams simplicity, but beneath the exterior lies a mammoth programming environment you can get lost in for days at a time. 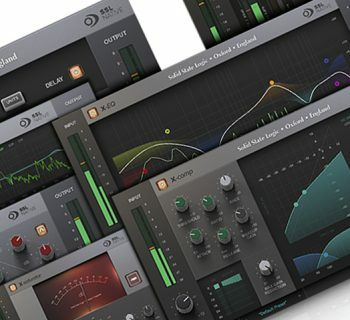 The G2 offers a whole suite of sound creating and shaping tools, using a computer-based editor and a dedicated hardware controller to allow you to create, upload, and play your own creations. For the usability section – we’ll break it down into two categories: the synth and the software. Right out of the gate, the action of the keyboard is fantastic – beautifully smooth synth-action with a very responsive and spongy aftertouch, which really lead us to noodle through presets! The G2 also features the standard Nord pitchstick and "stone" modulation wheel (actually, it's textured aluminum, but you'd never know unless we told you). The pitchstick is one of the more ingenious pitchbending mechanisms we’ve seen, and it’s been a staple of the Nord keyboards since the original Lead, and for good reason: it’s addictive! The top is indented so your finger just naturally gravitates towards it, and the sensitivity is perfect for adding the slightest vibrato or bend to your notes, or you can create wild bends and crazy dive-bombs with complete abandon. The stone modulation wheel may take some getting used to as it’s quite thin compared to most mod wheels, and the texture definitely feels different if you’re used to the more traditional plastic or rubberized wheels. We got the hang of it pretty quickly, though, and found that it’s placed perfectly in relation to the pitchstick for two finger freak-outs and subtle modulation tweaking. The interface of the G2 can be broken down into two sections, the System Functions section and the Sound Functions section. The System Functions section gives you access to global parameters. This section is where you select Patches/Performances and assign slots and any keyboard splits for performances. The Sound Functions section features eight endless rotary encoders, which use radial LED encoders to show the knob value. There are four LED displays above the knobs showing parameters that are in focus. On the right, you have five dedicated buttons for paging through the various parameter sets, which can be adjusted using the eight encoders and buttons underneath. Also in this section is the variation and morph control section. Each patch on the G2 includes eight variations, which use the same core modules but feature different settings. When the morph button is held down, you have access to the morph controls which allow you to assign various controls to effect various parameters on the synth: the mod wheel, velocity, keyboard, aftertouch, control pedal, sustain pedal and pitchstick can all be assigned to any parameter for instant performance-based tweaks (route aftertouch to filter cutoff, modwheel to delay time, any parameter can be morphed using any of the assignable controls). The morph controls are really a great control feature, taking the already expressive aftertouch and pitch control to another level entirely with the potential to control multiple parameters simultaneously with one source. We had a lot of fun assigning aftertouch to both resonance and filter cutoff to create some truly squealy solo parts! Also worthy of a mention here: the available step sequencers in the G2. The G2 step sequencers cover a lot of bases beyond traditional vintage-style analog sequencers. 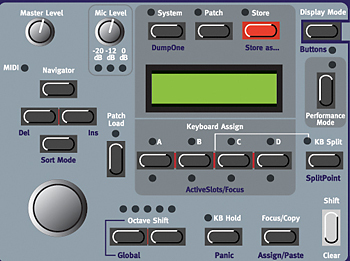 With a sixteen-step sequencer that controls note values and/or step On/Off, there are actually five varieties of sequencer available to insert into patches concurrently, each with varying amounts of outputs, and they can be used to send continuous value changes to other parameters on the synth (i.e., filter cutoff or LFO rate). These sequencers are especially adept for use as percussion sequencers. Using the built-in percussion oscillators, we were able to create full-featured drum machines inside the G2! Of course, using them simply for basic sixteen-step pitch sequences was equally fun. Running multiple sequencers controlling multiple parameters of a patch really led to creating wild modulation-filled sounds and sequences. There are assortments of step sequencer-based patches in the Performance bank that allow control over the step values via the panel controls. Using the page buttons allows you to flip from row to row, modifying pitch and step On/Off using the rotary encoders and buttons. We found this to be an elegant way of handling the sequencer features. When building a patch in the editor, we could assign the sequencer controls to the front panel, allowing for some great real time sequencer performance. Instant control over percussion programs (Don't want that kick on the third beat? Turn it off! Want to change the pitch of each snare hit? Turn a dial!) was simple. Working with a performance containing multiple sequenced parts, changing all of the elements within two or three button/page turns was relatively intuitive, enabling us to make complex rearrangements on-the-fly. We tested the G2 in our studio connected via USB to an Apple Power Macintosh G5 running Mac OSX 10.4, with a MOTU 828mkII. Installation of the Nord Modular editor software was as simple as dragging the application from the provided disc onto our Applications folder, and the G2 was instantly recognized over the USB connection. We found working in the editor to be straightforward. Menu functions and module connections were all intuitive, and the manual was a great resource for understanding the basics. Of course, we quickly realized that there is a steep learning curve to utilizing every feature of the G2 – there are an immense number of options for routing and processing. There is a fantastic tutorial in the manual entitled “My First Patch” which did a great job of guiding us through the process of hooking up modules to create our first basic patch – from there it’s a steady slope uphill learning about all of the modules. Browsing through the available patches with the patch browser was a quick and easy way to see how the various presets are programmed. We found that understanding the potential of the G2 was easiest by looking through the presets with the manual open, investigating by tweaking the settings in the editor, and referring to the encyclopedia-like module reference available. One of the more recent additions to the G2 editor software is a utility called the Patch Mutator. 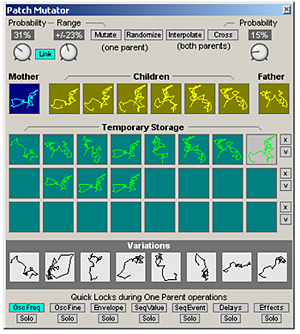 This ingenious tool allows you to select a patch and bring it into the Mutator as a “Mother.” Using any patch as a basis, you select the amount you want it to stray from the originating patch, and it generates six “children.” You can select them to put into temporary storage, or use them as a new parent. Adding in a Father patch creates more chance for some new and surprising results. In a much more mild-mannered way, Clavia have also added the Patch Adjuster, which gives you a quick and easy global control over the Envelope, Modulation Rate, Timber, Resonance, and any effects. We found this to be a really useful tool in quickly auditioning and changing sounds from the preset banks without having to hunt down specific modules in the editor. Both this and the Mutator really helped to keep us going as we learned more about building our own patches, enabling us to morph the sounds and tweak them quickly. The Nord Modular G2 is a monstrously multi-faceted machine! Due to its modular nature it is capable of many different kinds of synthesis as well as audio processing. We highly recommend checking out the audio demos available on the Clavia site - http://www.clavia.se/downloads/mp3/index.htm#G2- there are a whole host of demos showcasing the sequencing potential as well as the sonic variation available with the performance controls. Out of the gate, the presets are diverse and definitely aimed at getting your attention – fluctuating pads, fantastically playable leads, crazy vocoder effects and a stunning array of earth-rattling basses. All are available in the two provided banks of 128 sounds. We really loved the patches that used the string oscillator. 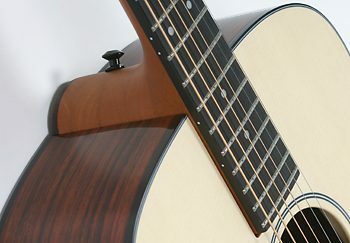 Combined with the pre-assigned modulation controls, the “Acoustic Guitar” preset was a tremendously emotive patch, with variations programmed for more muted sounds, nylon, and steel. Aftertouch was assigned to vibrato, allowing for a surprisingly soulful sound. “Back to ’72” was another favorite – this is one of many lead sounds in the included presets, but we came back to it a few times. The eight variations cover a lot of territory for some truly classic sounding leads, smooth and fluid with tons of expressiveness. There are some hidden gems in the Performances bank – this is where we stopped ourselves and realized that thinking of this as only a synth was a big mistake! The performances featured some fully sequenced songs, using all four available slots to run drum sequences, synth sequences, etc. We weren’t expecting to hear the deep punchy drums with such diversity of sound cranking out of our speakers. Truly, this synth is capable of some eye opening possibilities for sequencing and sound design! Of course, within the first few hours, we had to try hooking up a mic to the provided XLR jack to check out the various effects patches. There were a couple of vocoder presets covering everything from alien to robot all the way down the autobahn. The sound was fantastic, and the onboard controls were a quick study in getting some really interesting variations of the patches for ourselves. Also worthy of mention is the “Pitch Corrector” patch, which takes the incoming audio signal and shifts it to an appropriate adjacent pitch. Overall, Clavia’s reputation for fantastic sounding virtual analog sounds and crystal clear digital synthesis is quite apparent in the Nord Modular G2 – with all the options at hand the sound doesn’t suffer one bit. This is truly a great sounding instrument that covers a ridiculous amount of territory. The Nord Modular ships with a massive manual. Included are the standard installation and hookup instructions, but there is also a comprehensive module-by-module description, as well as an introductory “my first patch” section, which walks you through creating your first patch. We were really quite surprised at how well it was written, it could serve as an introduction to synthesis course book! We’ll be keeping it by the bedside table for the next few months, that’s for sure! Worthy of mention as well is the extraordinarily active and creative user community at electro-music.com – they have a remarkable collection of user created patches which push the boundaries of the engine. The Nord Modular G2 keyboard (MSRP $2,499) sells for just under $1,800. Given the feature set and build quality, the G2 is priced very well. If you’re looking for the Nord sound but don’t need such a massive programming environment, the Nord Lead 2 and 3 series may provide a very adequate and less expensive route to go. Other available options are the G2 engine (MSRP $1,399), which lacks any hardware controls, XLR input, or expression pedal inputs. There’s also the recently-discontinued (but you may find limited supplies floating around) G2X (MSRP $3,499.97, under $2,300 street) that features a five-octave keyboard and two additional modulation wheels for extra control over patches. The G2X comes pre-installed with a second DSP processor, so it should be capable of building even more complex patches. The standard Modular G2 and G2 rack can each be upgraded with an additional DSP board (MSRP $450, $350 street) for twice the horsepower. The Nord Modular is one of the few hardware/software environments on the market that offer this level of flexibility in synthesis. While there are other products on the market catering to the host-based market, none offer the level of integration with a dedicated hardware control surface that the Nord Modular provides.